Fan Art cover to match previous in series. It took me much longer to read this book than I thought it would. Sure, it’s a 22.5-hour audiobook and that’s a decent amount of listening time for something that absolutely could not be “background” noise listening – my brain had to be engaged – but I started this book nearly two months ago (although I did take a two-week break). Some of it had to do with the type of story Rowling is telling, there’s a lot of plot here. Some of it is also the layers of meaning she is including and the commentary on family, loyalty, fame, and pressure. It’s not my favorite of the series, but it’s not my least favorite either (my favorite is Career of Evil despite its very violent nature) even though I found the mystery the least engaging of the four books so far. It has the potential for an interesting set up, Rowling takes on the political sphere, growing the world of Cormoran Strike a little larger as she goes. The book picks up immediately where the previous one left off, satisfying the cliffhanger appropriately but painfully for those of us who hate Matthew with the fiery heat of a thousand suns. Then Rowling drop kicks us one year into the future where Strike and Robin are barely speaking to each other. The firm is doing well enough after the Shackleford Ripper case that they’ve been able to hire on contract investigators and slowly Robin and Strike have developed an icy gulf between them. Billy Knight kicks off the story when he shows up in Strike’s office asking for help in ascertaining if he really did see a child murdered and buried near his home as a child. Unfortunately, Billy isn’t a reliable witness as he is deep into an episode and shows signs of living rough. Billy sticks with Strike though, and in the process of following up on Billy he meets his brother Jimmy, which in turn bring Strike int the orbit of Jasper Chiswell and the story is truly off to the races. The Chiswell family becomes the main focus and that family’s dynamics are complicated while also a bit stereotypical for fiction. There’s a gold digging younger wife, a disgraced youngest son, two loyal daughters, and the beloved dead eldest son. Strike investigates Chiswell’s political enemies, and never lets the dead child out of his mind, wondering how it all ties in, chewing the details over and over. I’m continually surprised with how much story Rowling tells, and I shouldn’t be anymore. The initial case Robin and Strike are hired for by Chiswell is over before the halfway point. Most authors would have wrapped things up in their narrative around this point and I wouldn’t be mad at them for doing so. There was already plenty of story to be had, but much like her other works Rowling slowly builds a world and then slowly unpacks the details, both of our two main characters and their personal lives, but also in the various characters who make up the cast of characters in this murder mystery. Because oh yes, there is a dead body and its demise must be solved. Rowling is usually writing intricate mysteries where the clues are there in front of you, and even if you don’t catch the signs along the way, the resolution make sense after the big reveal. This is generally the case this time but by the time the final revelations were made it also felt like the answers were overly convoluted. I felt vindicated when even Robin couldn’t seem to put together the slightly too many tangentially related clues. But the characters are really and truly what make these books so enjoyable. They continue to feel like fully fleshed out people, whether we’ve known them for four books or they are brand new to us in this outing. Rowling is incredibly adept at giving life to her characters, and I feel as comfortable in this series as I did with the Potter books. Robin and Strike have rich internal lives that they don’t share with others and while it’s such a small detail in characterization, it has become incredibly important for establishing their unique rhythms. I wasn’t happy reading the decisions Robin was making regarding her relationship with Matthew, or what she was choosing to share or hide (she hid everything) but it all made sense in the context that Rowling had developed in the previous books: she spent three books showing how unhealthy, codependent relationships are incredibly subtle, persistent, and destructive. So much of the novel is about relationships – Robin and her failing marriage, Strike and his girlfriend Lorelei, Strike and Charlotte, and how Robin and Strike react to each other in the aftermath of Robin’s wedding and each thinking the other is in a happy relationship. There are multiple dysfunctional pairs of people peppered throughout, being foils for one another and yet another facet of the investigation for Strike to chew on. We also get more information about old secondary characters (Vanessa Akwenzi gets more fully fleshed out and we get updates on Nick and Ilsa, and an important few chapters with Strike’s nephew) as well as the new secondary characters, Barclay being a standout and I’m excited to see an interaction between him and Shanker in a future book, as this one was sorely lacking in Shanker (but the nature of the case precluded the kind of work Shanker is best at). There is something else that stood out to me in the reading, something that was very obviously a sign post and left me wishing I had read more Ibsen, something I had not anticipated ever being the case. Rowling uses quotations from Henrik Ibsen’s play Rosmersholm at the beginning of each chapter in Lethal White. This is the very first time in any of the Strike novels that all the epigraphs came from a single source (although Career of Evil is all Blue Oyster Cult lyrics it isn’t quite the same thing). I did a little digging after I finished the novel, even though I was sorely tempted to do so before I finished, to double check my instinct. Rowling did indeed take the bones of Rosmersholm and send it through the blender of her creative mind and produce the narrative of Lethal White. I won’t go point by point, there are others who have done extensive writing on the comparisons, but Rowling is continuing to play with metaliterary creations. The major plot points and locations in Lethal White are mirror images of things in Ibsen’s work, or are building off those ideas. I will say that it gave more meaning for me to the super injunction storyline, and the general fear of the press in this and the other Strike novels. Lethal White also shares imagery with Rosmersholm, the ubiquitous white horses and the hauntings of shared memory. As an added bit of interesting trivia Rosmersholm is returning to the London stage this spring and starring Cannonball favorite Hayley Atwell and Tom Burke, who plays Strike in the television adaptation. Sometimes it’s a very small world. Because my brain doesn’t seem to hold onto the details of mystery books the story is often new to me again. This time I didn’t have that experience though, I had already binged the BBC adaptation of the books, but I still thoroughly enjoyed my time with the characters. Once again Career of Evil is Rowling writing an intricate, but not unsolvable, mystery where the clues are right there in front of you, and even if you don’t catch the signs along the way, the resolution make sense after the big reveal. This story dials down its setting and pace to the precision of a master craftsperson, making a long book covering several months move quickly and evenly to its eventual crescendo. In my first reading of Career of Evil, I pulled apart the ways that sexism and misogyny were being examined and in this reading I saw more details Rowling was using in setting up those subtexts. This book remains explicitly and implicitly about misogyny. Rowling uses the sexism of daily life and the many incidental ways woman are made to suffer and are put at risk by the world we live in to create a looming sense of dread throughout the novel. It is also a discussion of prejudicial treatment of women both casual and pervasive. Rowling places us into the minds of the men who are in the wrong, from the story’s main antagonists (including a serial killer who objectifies women); to Strike himself, a man who tries to be good and still ends up short sometimes; and Matthew’s very real internalization of white male privilege and co-dependence we take a tour of what must be endured and hopefully conquered by women every day. All of this is before we even dig into the mystery at hand or how it relates to Cormoran’s military past. As I discussed in my The Silkworm reread review, I had previously missed that Rowling had taken what I assumed to be a non-critical character in Charlotte and instead used her as a foil for a larger conversation. Instead of merely painting a picture of Cormoran’s past (as I thought she was there to do) she was really a comparison point to Matthew. 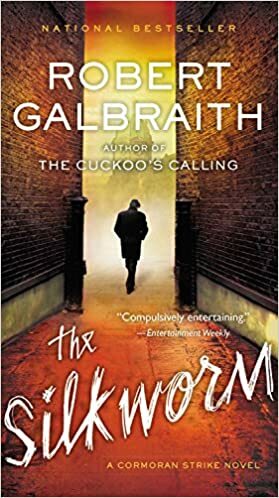 In The Silkworm Rowling as Galbraith was gently showing how unhealthy, codependent relationships are incredibly subtle, persistent, and destructive. 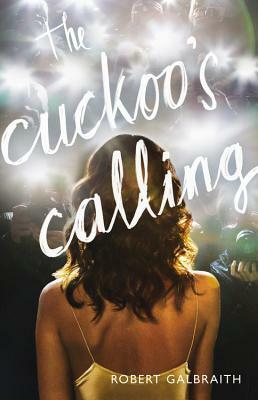 Even though Charlotte does not appear in this book (except in a memory of Robin’s) her relationship with Cormoran is echoed in Matthew’s relationship with Robin. As I knew what to be looking for this time through I was more and more unsettled by how toxic, but entirely typical, Robin and Matthew’s relationship is (I also know that I am bringing some very personal baggage to the table here, but I don’t think it’s inappropriate). We are supposed to see familiar behaviors and themes and gradually understand them to be the destructive forces they are. It works brilliantly layered in against the more obvious violence and abusive behaviors of other romantic partners in the book. The other thing I didn’t talk about in my original review of Career of Evil that I’d like to this go round is Shanker. All of the character history I had assumed would only come from Charlotte is eclipsed by the revelations surrounding the character of Shanker. There’s something about the personal moral compass of Shanker (and his insistence that everyone pays for his services, regardless of history, loyalty, or friendship) that speaks to me. He lives his life on the wrong side of what most people would consider correct, but he is steadfastly about something, and often that something is something commendable, if gotten to in less than legal ways. Some of my favorite parts of the book include Shanker and I simply found him to be delightful. I don’t know how the smile Robin gives the battered Strike while saying ‘I do’ to the ever-more-hated Matthew is going to play out, and now that the fourth book is finally out my waiting on the cliffhanger is almost over. I am however glad that I decided to read these books again before digging into Lethal White, if only to make sure then many moving parts are clear in my mind’s eye. I don’t scorn rereading (see please, my Harry Potter reread), it just isn’t something I do often since I joined up with the Cannonball crowd back in 2012. It is sometimes very difficult to find new words to express a reaction to a book, and now that writing a review is part of my reading process I cannot skip a review. If I read a book… I’m reviewing it (with the exception of on book back in CBRV, but I still reviewed it on Goodreads). So, why did I dive back into the world of Cormoran Strike? Several reasons, actually. I was longing for the world of these books, having spent 18 months away from them, I was willing the announcement of the publication date of book four, Lethal White, into existence (we got it! ), and I had purchased the audio of the first book in the series, The Cuckoo’s Calling several months ago because I wanted to own the complete series as read by Robert Glenister. Which meant that I had spent money on a book that I had already read, so I should probably read it again to help justify to myself the purchase price (worth it). So what is The Cuckoo’s Calling for the uninitiated? It’s a classic murder mystery in its style and delivery. Strike is an injured war hero, he’s just broken up with his mysterious fiancée after a long on and off again relationship, he’s the son of two famous people but eschews the spotlight for himself, and is dead broke. He’s hardened and grizzled, and he’s clever where others aren’t. He is also dogged and determined, and endearingly befuddled like all great investigators in fiction. Robin is the eager sidekick, super competent at all things, with agency: she has desires and wants and fears and ambitions that come to life over the course of the book and series. The victim is a gorgeous supermodel who apparently jumps to her death, but her grieving brother can’t accept how the case was closed and hires Strike to find out what really happened, and hopefully before their mother passes away from end stage cancer. On the surface it would be easy to say that these books don’t share a lot thematically with the Harry Potter books, but I would disagree with that assertion. This is also a story where the unsuspecting forces of good battle to resist the forces of fear and hate. The characters of Robin and Cormoran are rediscovering themselves, unpacking who they can be and are in the pursuit of knowledge, of truth (how more Hermione can you be?). Additionally, the writing has a similar and familiar structure, Rowling’s style of writing flows easily; she uses plenty of adjectives and humor and is very good at putting you in the room with her characters. I’m watching along with the BBC miniseries as I reread, and it is so noticeable when the adaptation moves away from Rowling’s plotting – the character motivations are diminished. The adaption for the first book, which is three episodes, should have been enough time to lay the story arc out as Rowling wrote it, there was no need to move some plot points around or change the nuance of Guy. But I digress. My complaint about this book when I read it back in 2015 was that the beginning was too slow, I no longer agree with that assessment. As I sat in my car listening to the world unfold I was happy to have the time Rowling puts into her worlds – she is not so much a builder as a suggester, but she does quite a bit of character and world building in the first quarter of the book before launching us, securely, into her better-than-average mystery. The series works on re-read (so far) on the strength of its characters and getting to spot the clues that Rowling left for us in plain sight. My reread of this will continue in a few weeks, I’ve got a new shortened deadline to get these read again (although I know I have to wait a bit past publication for the audio version to be released). This book was read and reviewed as part of the charitable Cannonball Read, where we read what we want, review how we see fit (within a few guidelines), and raise money for the American Cancer Society in the name of a fallen friend.